In an effort to comply with the Individuals with Disabilities Education Act 2000 (IDEA, 2004), schools are moving toward full inclusion in classrooms to offer students with disabilities the least restrictive environment. This has led to an influx of students on the spectrum of autism in general education classrooms. 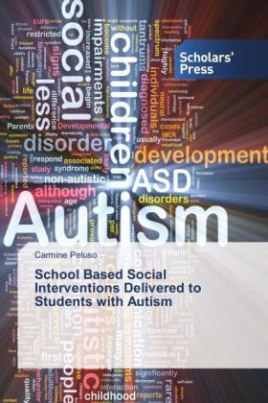 Some students with autism struggle with peer interactions and interpreting other social cues. Schools try to help students navigate these social interactions by delivering social interventions during the school day. A study consisting of middle school students in a suburban school district was conducted to measure if the social skill interventions being administered to students with autism are effective. Parents and teachers were interviewed and rated students social interactions during the course of a school year. The results indicated varied student growth, the need for more specific Individualized Education Plan social goals and for better assessment methods to accurately measure student social progress.